Have you heard this from a birth parent? No one told me it would hurt this much for this long. No one told me how much I would see myself in my child. No one told me how my feelings would fluctuate over time. They told me about open adoption, but no one told me how hard it would be to navigate these relationships and feelings. Or this from an adoptive parent? Wasn’t it supposed to be easy if we adopted at birth? No one told us there could still be issues of loss and grief. No one told me how much I would want my child to have his/her whole story. No one told me parenting by adoption would be different from parenting by biology. In fact, we were told the opposite, that it was exactly the same. No one told me I would be open to so many people loving this child. And, perhaps most poignantly, have you heard these sentiments from the person that adoption is supposed to serve most, the adoptee? No one predicted I would feel grief and otherness so deeply. No one told me I could love more than one mom, more than one dad. No one told me what a difference it would make to have my information. No one understood that being part of two families would be so complicated for me. We need a better brochure, one that DOES acknowledge the complexities of adoption, both the light and the dark and all the grays in between. The Family to Family Support Network depicts not only joys that adoption can bring, but also the challenges and the lifelong effects people may encounter when they embark on an adoption journey. The Family to Family Support Network is a hospital-based community program that empowers expectant mothers, trains medical staff, and better prepares adopting parents, all while employing and pioneering best practices on all fronts. HOW the Family to Family program assures that the expectant mother remains in the driver’s seat for the plan she chooses, whether that choice is to parent or to place. And HOW she’s can plug into vetted, ethical resources according to her choice. WHY it’s much better when a woman in an unplanned pregnancy reaches the Family to Family Support Network rather than an adoption site that ranks high in an Internet search. WHAT safeguards are in place to prevent coercion. WHY this program is based in hospitals, even though adopting parents may or may not be included in the hospital time. WHAT is done to help all parties acknowledge the grief that comes from adoption, and ways to process ambiguous loss. You’ll also hear confessions from nurses who have regrets about “winging it” in adoption situations, in the absence of training on neutral, compassionate care. You’ll hear about baby hand-offs in hospital parking lots. You’ll hear about Rebecca’s upcoming trip to meet with influencers in Washington, DC to show how dollars spent upstream can save a hundredfold downstream. A major part of meaningful adoption reform is to offer a better brochure. Family to Family Support Network is doing just that (metaphorically), and I ask that you get to know the program and support its efforts. Support can come in many forms. 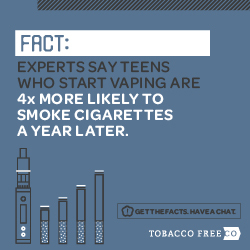 Raise awareness by sharing this podcast. Reach out to healthcare workers and adoption professionals by tagging them on Facebook with a link to this podcast. Consider making a financial donation to Family to Family Support Network. 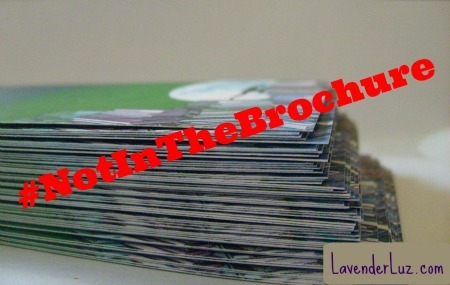 Please help end the cry that too many of the realities of adoption are #notinthebrochure. * Disclosure: I am on the volunteer board of directors of the Family to Family Support Network. I believe this pro-education unbiased program needs to be accessible in every community in the country. Previous PostWhere is the Oversharing Line in Our Adoption Stories?Next PostHow Consistent Are Your Views? I listen to Rebecca’s program regularly. She does an excellent job of offering multiple perspectives. It is essential that all involved in the adoption constellation open our minds, hearts and ears. We must do this with an intention not to rebut but to understand. So true. And this is a particularly good interview that shows the vision of Family to Family. 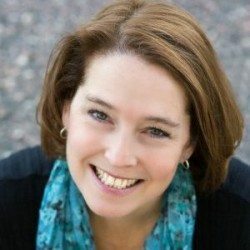 Lori, I always enjoy your posts and am curious as to the lack of adoptee support resources listed on the Family to Family website. Did I miss something? 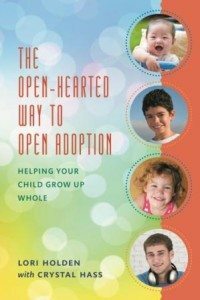 Hi Theresa, I would recommend that you check out our Adoption Perspectives Radio Show archives as adoptee resources are embedded there. And actually, this weekend’s show on Saturday (10am MT) is about open adoption records and features an adoptee telling her story of search & reunion. Rich Uhrlaub also joins us to talk about Adoptees in Search: Colorado Triad Connection and how records have been opened to all adoptees here in Colorado. Thank you Rebecca! It would be helpful if there were a tab for adoptees to direct us to specific resources. I have two adopted children and I know that state adoption agencies need to educate birth mothers, birth fathers, and their families on what adoption is and how it works. Our birth moms both believed a lot of falsehoods about adoption. For example, they thought that adoption was co-parenting, which, to them, meant that they were just as much the child’s parents as we were. Our second son’s birth mom who lives 1 1/2 hours away thought that we would drop everything to bring our son to see her whenever she asked. Our first son’s birth mom thought that we would do the amount of visits that she asked for instead of compromising with us on what we thought worked best for us and our son. This is so frustrating, since our agency spent hours educating my husband and I on ALL ASPECTS of adoption. We were shocked at how little birth parents and their families were told. It’s true that agencies need to set similar expectations for both sets of parents to best set them up for success. So much easier when the message is a unified one, rather than what each party wants to hear. How did you find out that your son’s birth mother was told something different by the agency — did she tell you or or did the agency? It sounds like there was a breakdown in communication somewhere. Still listening to Rebecca’s podcast, but am so happy to see this type of support is becoming more available to birth families, adoptive families and adoptees. 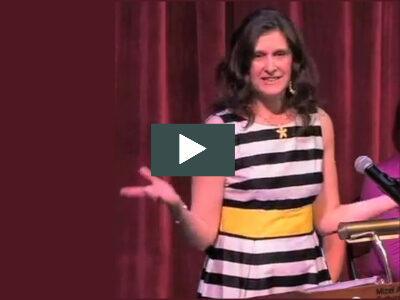 We’ve seen the consequences of assuming “happily ever-after” surrounding adoption. That the realities of this process are often suppressed. And that education is needed not only for those part of the triad, but also for healthcare workers who will be involved with the care of individuals during this process. Spot, on, Cristy. We all WANT a “happily ever after,” and without a full range of info, we might be shocked and unprepared if i doesn’t come easily. What was promised to her regarding the open adoption? She obviously has no power to enforce any agreement made at the time of the adoption. Hope this isn’t another case of an open adoption agreement changed at the behest of the adoptive parent. And to the degree we can support families in creating true connection rather than adversarial relationships, all will benefit, especially the child. Who wants to grow up amid hard feelings, conflict, and fear? No Anon, we were prepared to do exactly what we agreed to. We even had a written agreement, although it is not legally binding. We are well-educated people and we knew how to orchestrate a successful open adoption. I hope that no one is making assumptions about this private issue that I generously shared on this site. And there are a lot of ugly details regarding what happened with this birth mom that I did not write. Having spoken with you, Lisa, I can attest that you are, indeed, an educated person. One with a whole lot of other positive qualities. You probably know that one of the most important things in orchestrating a successful open adoption is to make sure you’re focusing on the spirit of the agreement rather than the letter of it. I also want to commend you on using discretion when sharing your son’s story. I would encourage you that if you’re feeling sensitive in any way about Anon’s comment, explore that to see if there’s something to work through for you. Doing so is hard but will serve you and your sons well. I commend all attempts to make adoption better. I confess that I have not listened to the podcasts referenced here in their entirety, but I really HOPE that the APs and medical staff claiming to speak for the betterment of adoption are considering the adoptee point of view. I think it is worth mentioning that adoptees do not “embark on an adoption journey” by choice. Personally, I am against pre-birth matching. I believe this is often an attempt to solve temporary circumstances with a permanent solution. 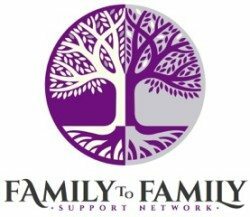 Although I applaud Family to Family Network’s efforts to empower birthparents, I’d like to hear more about what Family to Family Network is doing to assist parents to keep “unplanned children” with their natural parents and/or what services Family to Family Networks offers to adoptees beyond initial placement. Adoptees are adopted forever. For instance, are they prepared to offer their services to 80 year old adoptees? Yeah. All an adoptee does to “embark on an adoption journey” is to be born. It would have been very cumbersome to write that sentence another way. I get your point, that adults make decisions that profoundly impact the adopted person, who is choiceless in the matter. I’ll be interested in your thoughts after you do listen to the podcast. It addresses your point about resolving temporary problems by tethering mothers to 6 pillars of parenting if that’s the path she wants to take. This is why the program is called a network. It pulls in resources and information and makes them available to mothers. Family to Family has no financial stake in what she decides. It is able to take a pro-education and unbiased approach. Just a note regarding adoption language. Using the term “natural “ parent has the unfortunate opposite of “unnatural “ for other parents even if not verbalized. This can be hurtful for both adoptive parents and adoptees. Yes, “natural” parent could be a triggering title, as I explored here. This struck me. As much as I recommend our agency without hesitation, there are so many things that weren’t taught, even on our side where most of the education happens. Bravo for orchestrating a shift in education for all parties. Here is a podcast I did telling about the coercion and withheld information that happened to me. My son would be with md, his natural mother if I would’ve been told the truth. Instead, we have been cut off, because I tell mothers considering adoption the truth. When provided with potential outcomes, and helping them realize that their situations are 99% of the time so very temporary, and telling them I and a network of mothers of adoption loss and adoptess that has been built over the last 5 years since unnecessarily losing me son are committed to helping them through this temporary situation so their family can stay together, they do! Family preservation should always be 1st, unless there is documented (you name it) abuse, neglect and the parent(s) is(are) clearly not making the necessary changes to remedy any issues. After the support has been provided and the obstacles the parents feel they are facing are removed or remedied…….then, and only then should adoption be discussed. This is what Saving Our Sisters does, and families are not only together…..but thriving, no loss, no regrets, no separation, no grief, no siblings frying for each other, just families together, as they were intended to be. Coercion is not acceptable. I am sorry that happened to you, Lynn. We need to empower women in unplanned pregnancies to do what they feel is best for them, which includes pointing them toward available resources (Family to Family’s 6 Pillars of Parenting) and informing them as fully as possible about what each path might look like. Then she chooses. We support that choice.